At least 23 people have been killed in a fire at a packaging factory in Bangladesh. Police and eyewitnesses says dozens have been taken to hospital. Firefighters are struggling to control the blaze in the four-storey building. In the industrial zone of Tongi, 20 kilometres north of Dhaka, the Bangladeshi capital. How many people were in the building? 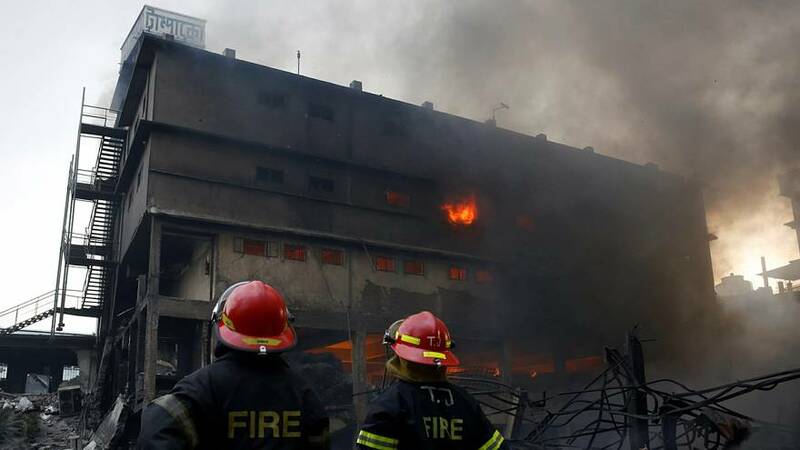 Experts say poor fire protection systems are common in factories in Bangladesh. More than 1,100 workers died in a clothing factory collapse in 2013. The Rana Plaza is ranked as the country’s worst industrial disaster. Ready-made garments are the mainstay of the Bangladeshi economy. The export market was worth 28 billion dollars during the fiscal year that ended in June. “The fire broke out in the morning just when work was about to start,” – Mohammad Akhtaruzzaman, fire official.